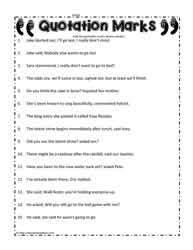 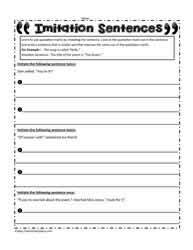 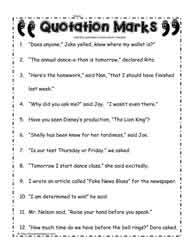 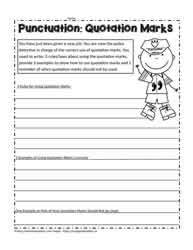 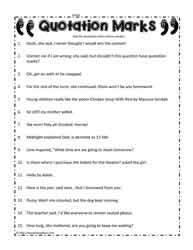 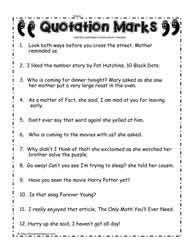 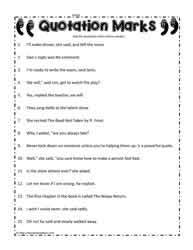 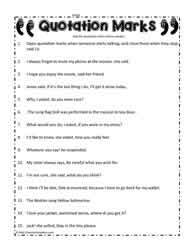 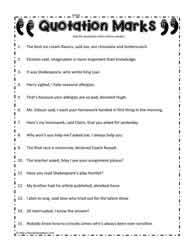 Quotation marks worksheets for 3rd, 4th and 5th grades. 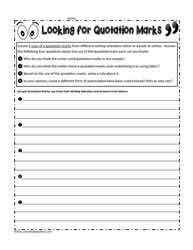 The use of single vs double quotation marks varies from country to country depending on the statement. 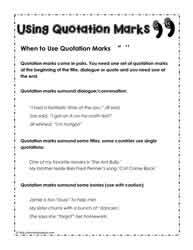 Quotations surround dialogue and titles.